ALS Solutions Ltd. is an international company which operates in two sectors of business. On the one hand, we are involved in the area of global sourcing, in which we act as a bridge between European customers and the Asian procurement market with the goal to securing efficient and cost-effective purchases. As a result of a clever logistics solution and the possession of our own warehouse in Switzerland, our customers are able to benefit from low stock levels, a reduction of tied-up capital and short lead times. 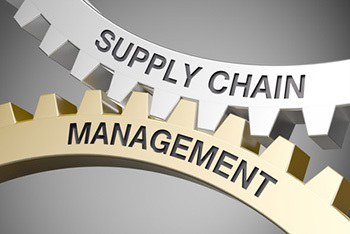 The second business sector includes the provision of comprehensive purchasing consulting for modern and professional purchasing organisations as well as of the whole supply chain management, including optimisation of the latter’s processes. We also offer our customers ad interim support in classic project management. In our core competencies of global sourcing and purchasing consulting, we have many years of experience and extensive know-how. Our customers are able to benefit from our practice-related and results-oriented work. Our structured procedures and pragmatic methods of implementation constitute the basis for successful project outcomes. For this purpose, we adopt a comprehensive approach to the provision of advice and we design practice-oriented solutions in purchasing and supply chain management. Our aim is to achieve measurable results which will increase your company value and improve your profitability in the long term. Since 2010, André Leutenegger has been the Managing Director of ALS Solutions Ltd. Prior to this, the business administration graduate had played an active role in strategic purchasing at Siemens Building Technologies Ltd. and Georg Fischer Piping Systems Ltd. for more than 10 years. Among other things, one of his main duties was to establish and expand respectively further develop the Asian procurement market, including the opening of local procurement offices. 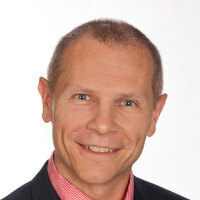 He also acquired many years of management experience in his role as In-house Sales Manager at Grundfos Pumps Ltd.
For years, André Leutenegger has been involved with various Swiss diploma courses at Fachverband für Einkauf und Supply Management procure.ch (Professional Association for Purchasing and Supply Management procure.ch) in his capacity as an examiner.